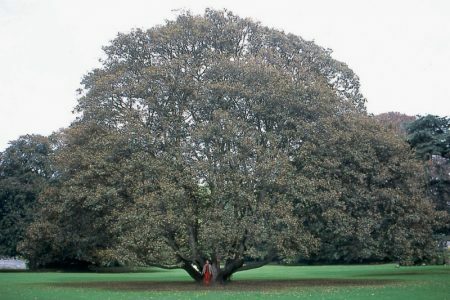 Acer pseudoplatanus Atropurpureum sparthii is a large, vigorously growing tree with a wide conical crown. The 5-lobed, nicely coloured leaf has a dark green surface and a red-purple underside, hence its common name Purple Sycamore. A beautiful, very mature specimen is shown in the image.